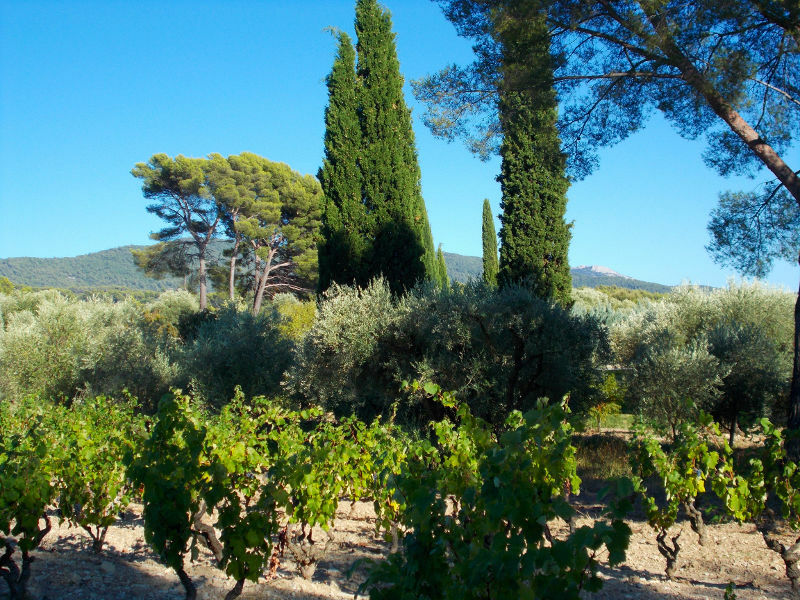 Domaine Marie Bérénice is in the heart of the Bandol appellation, between the villages of La Cadière and Le Castellet, 50 km east of Marseille, 90 km west of Saint-Tropez. 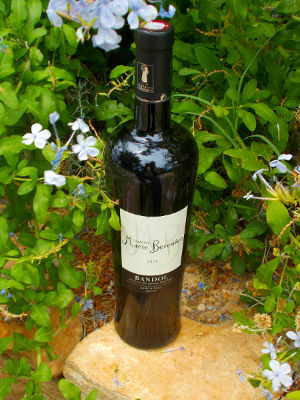 Domaine Marie Bérénice produces Organic Bandol wines. Damien Roux is the owner – winemaker, he created Domaine Marie Bérénice in 2012. 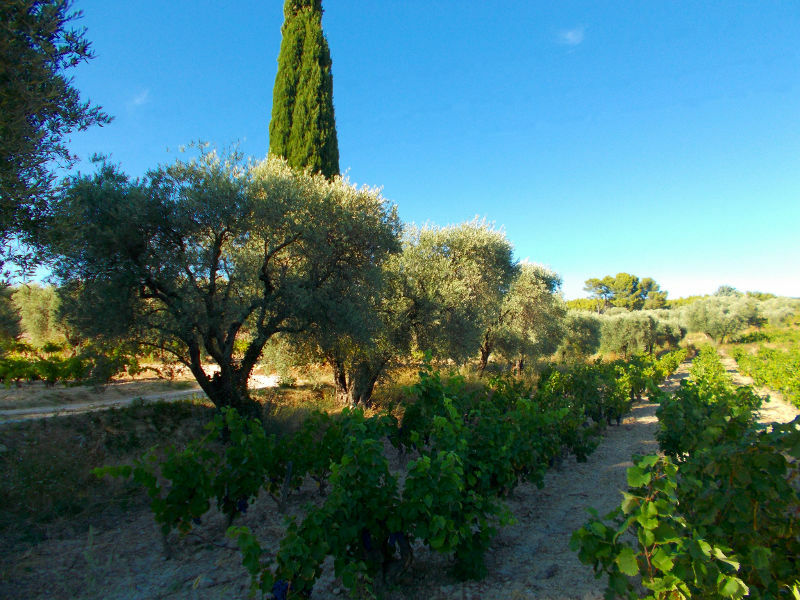 The vineyard of 12 hectares (30 acres) is cultivated in organic farming. 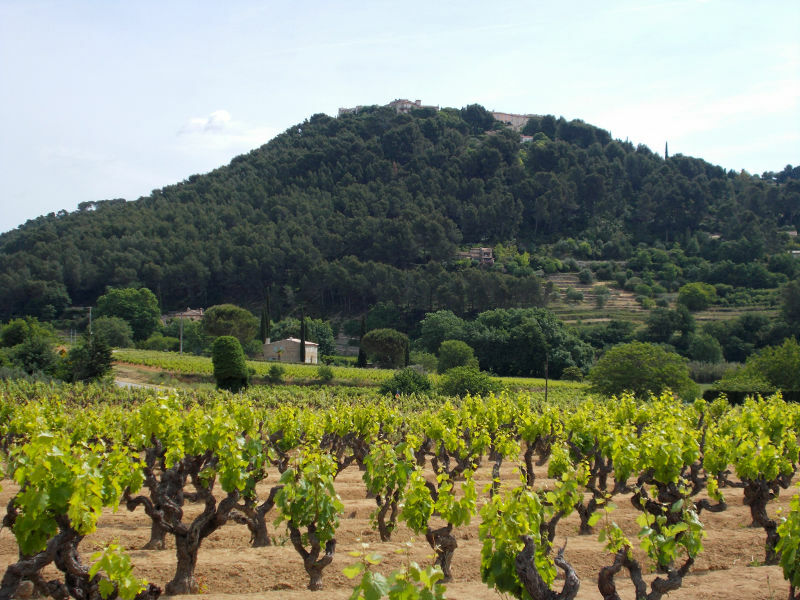 The very old vines are planted on terraces (restanques). 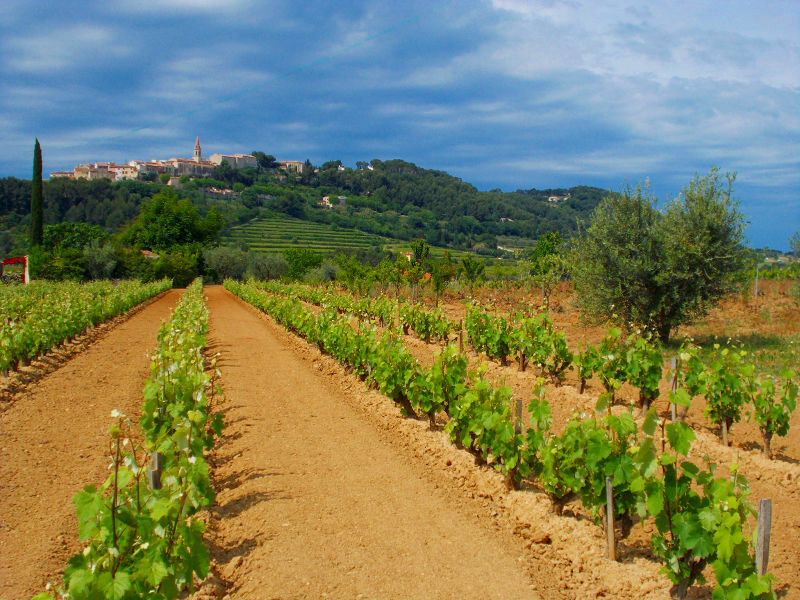 The Mourvèdre – settled on these clay-limestone soils - gives the best expression of its aromas in rich and refined wines. 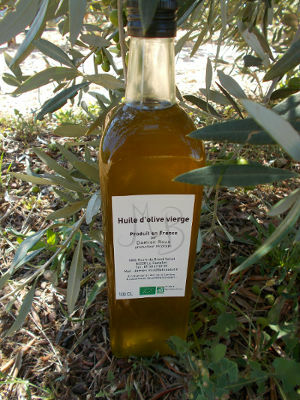 Organic olive oil is also produced on the domain. 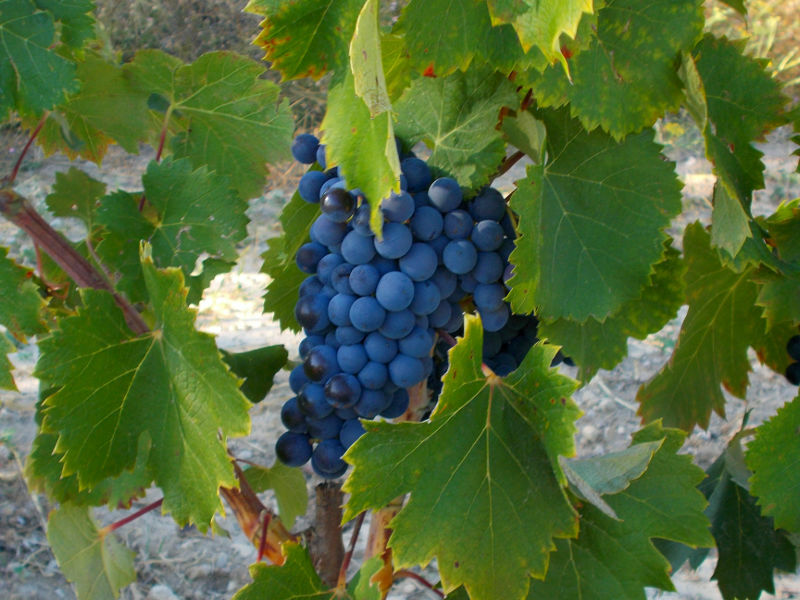 Marie Bérénice red is made of 90% Mourvèdre and 10% Grenache. After a long maceration to extract the best aromas and tannins, the wine is aged in oak barrels for 18 months. 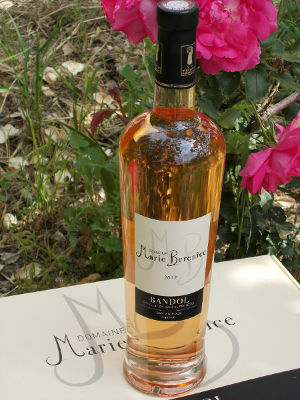 Marie Bérénice rosé is made of 80% Mourvèdre and 20% Grenache. Direct pressing for the Mourvèdre, short maceration for the Grenache. Marie Bérénice rosé has citrus flavors and a very long finish, a good fatness. It matches very well with grilled meats and fish. This wine is intended as a “gastronomy rosé”. Marie Bérénice white is made of 60% Clairette and 40% Ugni. Vinification in stainless steel tanks, controlled temperature. 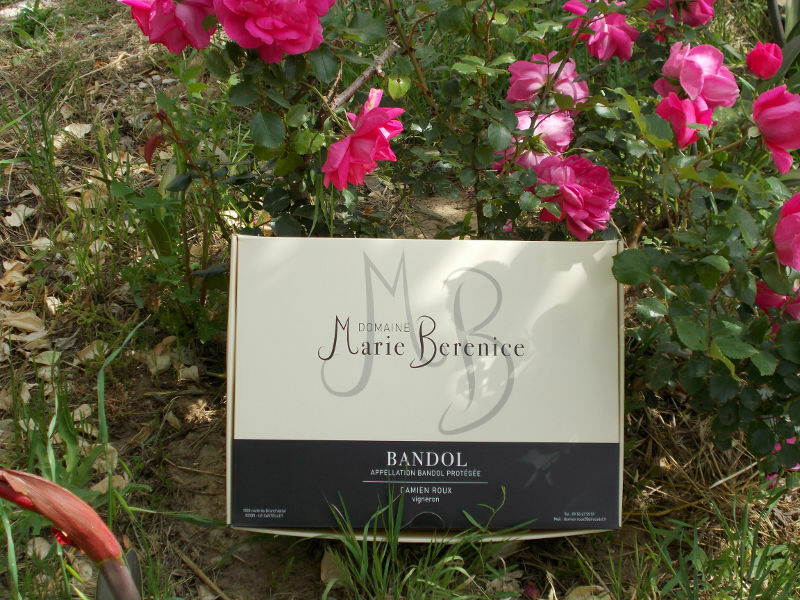 Marie Bérénice white combines richness, aroma and freshness. It matches with “bouillabaisse”, sea urchins, grilled fish and goat cheese. 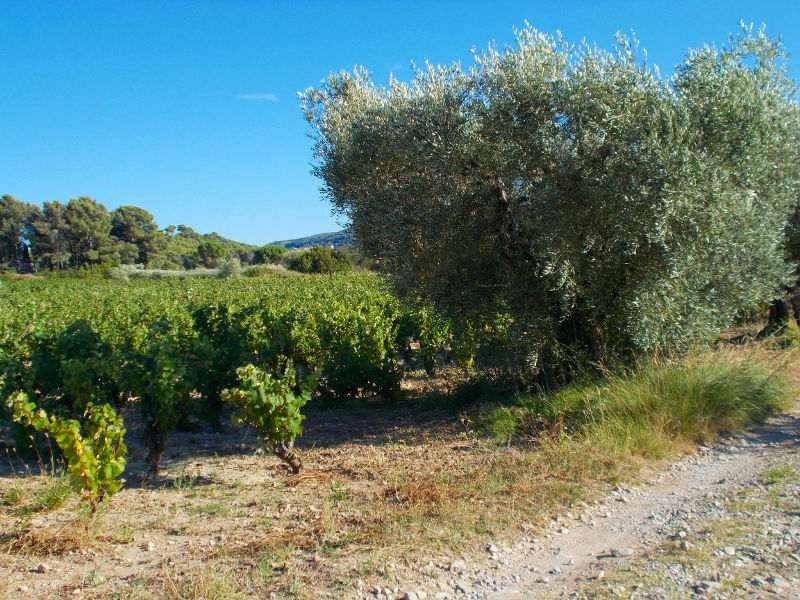 Domaine Marie Bérénice also produces organic olive oil. 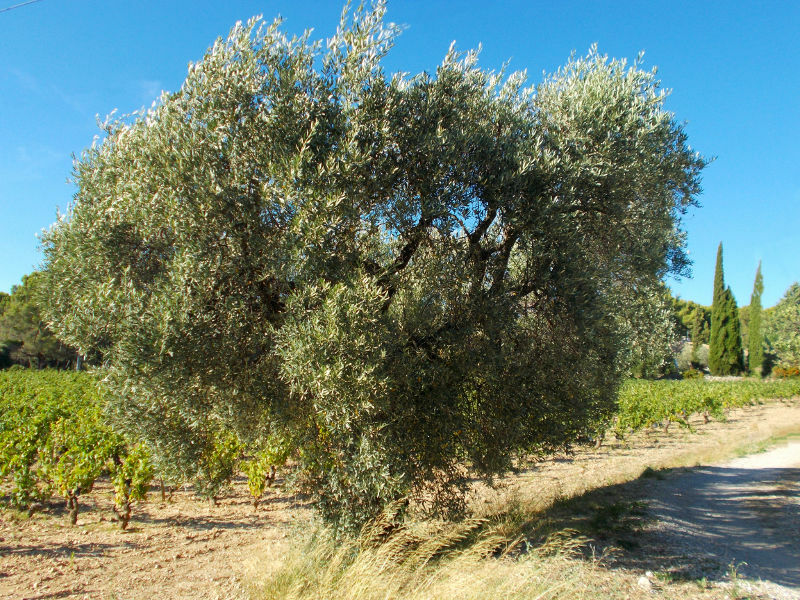 Most of the olive trees are more than a hundred years old. Local and old varieties such as Brun, Aglandeau or Cayon give richness, younger ones are more fruity such as Carnicabra or Bouteillan. “…First vintage and first entry in the guide with this finely crafted Bandol […] sweet spices embellished with a touch of blood orange that brings a pleasant freshness […] a young mouth that has to melt away with ageing…”. “…Expressive nose, floral, red berries, very ‘garrigue’, bay leaf, thyme, lively and tight tannins, final a bit tenacious, should smooth down…”. “Oak-ageing marked, blackberry, blueberry, in a rich and well-built style, strenght, should smooth down…”. Highway A50, exit Le Beausset, La Cadière d'Azur then direction St Cyr, Le Brûlat.